Completed in 1932, NIPPONKAI MARU served as a passenger-cargo ship until she was requisitioned in 1938. She was converted to a destroyer tender. 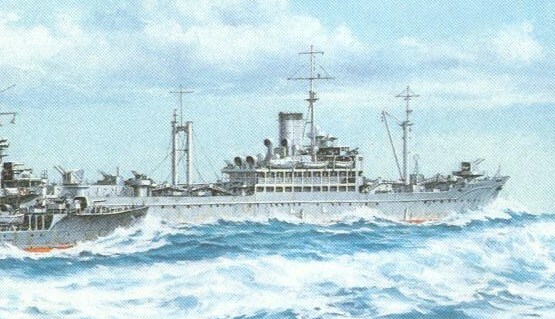 NIPPONKAI MARU was sunk by an American submarine in 1944. Propulsion: 1 diesel engine, 880 h.p., speed 12 knots.